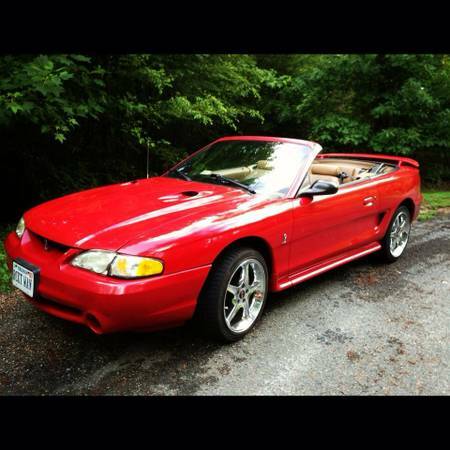 Up for sale is my 1997 Ford Mustang Cobra convertible. 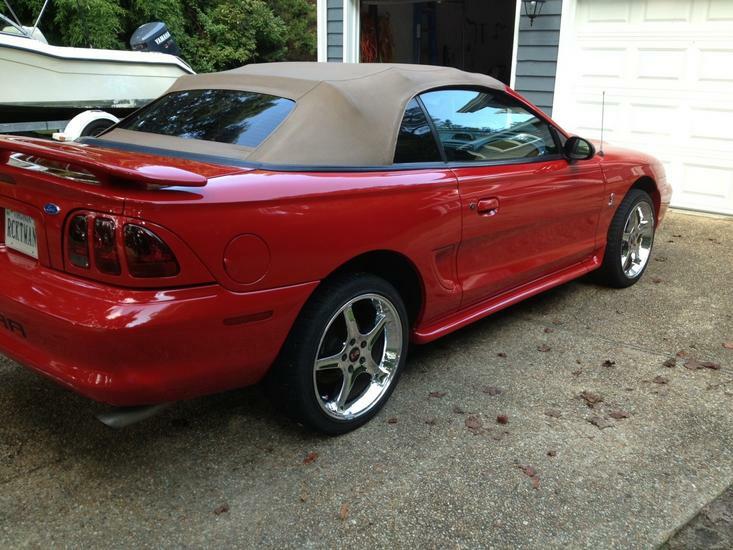 It has 116,000 miles on it and is in good condition. The paint was done at Bruce's Super Body shop in Williamsburg last summer. It was a $3500 job and looks amazing. New driver side door hinges were also installed because the door was starting to sag. This Cobra has the 32valve 4.6l v8 that was hand built at the SVT factory. The engine still has the signed sticker on the motor from the SVT master techs that built it. If you enjoy attention and compliments then this car is for you. It's fully loaded with a/c, power seat, and Mach 460 sound system. 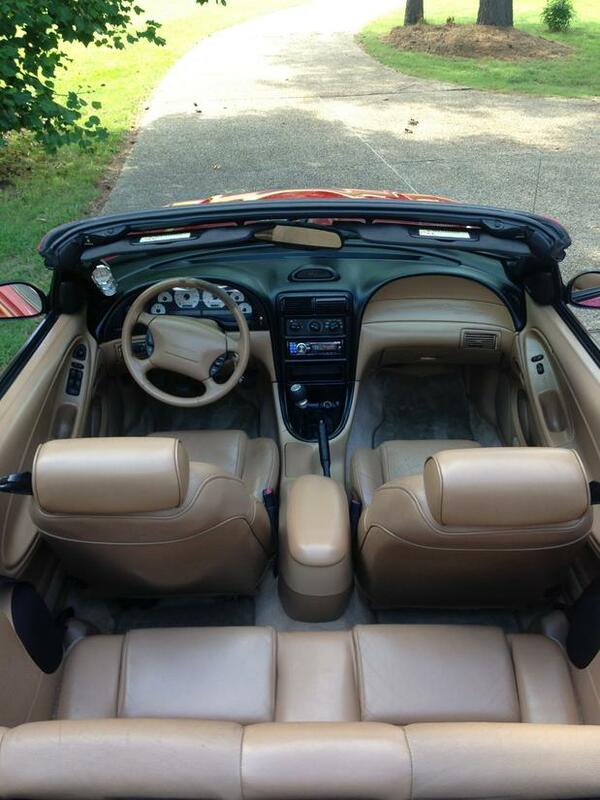 The top is in good shape and the interior is clean. I still have the original Cobra floor mats in the car, the leather on the drivers seat is starting to crack but it isn't bad, and there is a stain in the passenger seat bottom. The Cobra is mostly stock. It's sitting on replica 18x9 Cobra R wheels. Underneath is a BBK x-pipe to a Bassani catback that sounds pretty gnarly. The ECU has been flashed for the mods. The rear end just had $1100 dropped into it, I had Ford Racing 3.73 gears with new Ford Racing bearings, seals, and trac-Lok clutches professionally installed at Moyers Automotive in Midlothian. 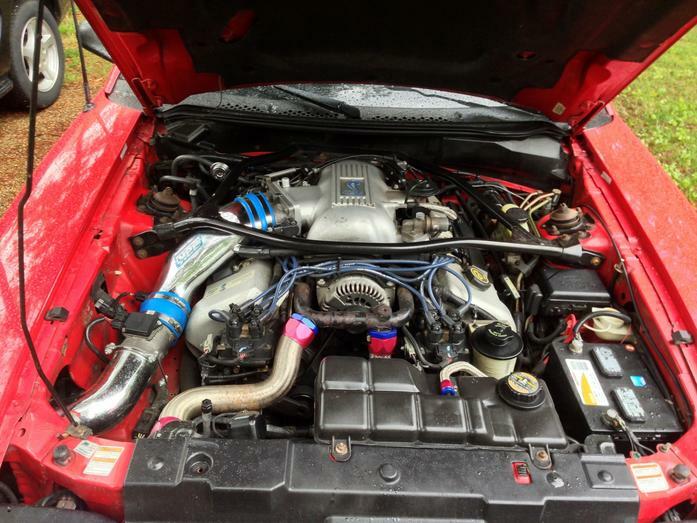 I have a BBK cold air intake on the motor and I recently put Accel coil packs and MSD plug wires on as well as changed the plugs. The only things done to the interior are a newer head unit and pillar gauges. I'm not pressed to sell the car, it does just fine sitting under the cover when I'm not driving it. The ONLY trade I will consider is a dirtbike+$6500 cash. Your response will be ignored if you offer anything else. Last edited by caseyrock; 05-14-2014 at 04:19 AM.